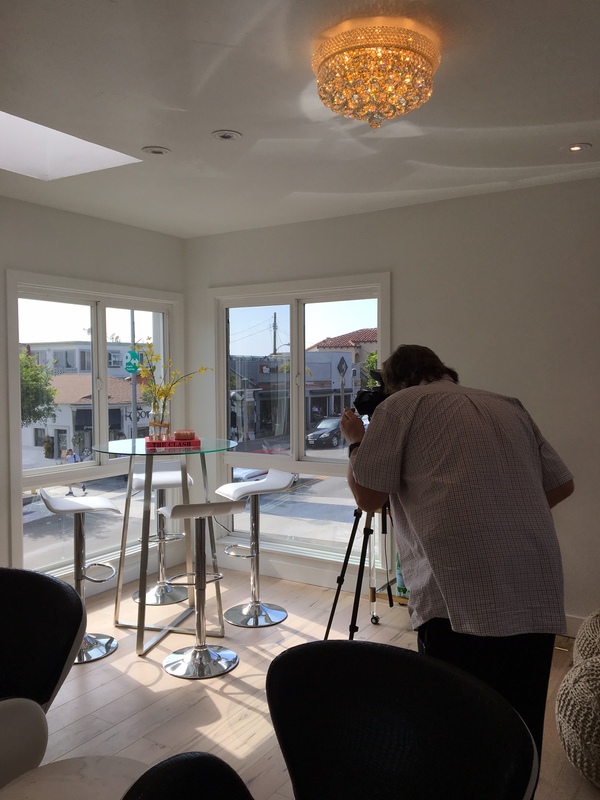 Commercial design is always an exciting and challenging aspect of our business at Jigsaw Design Group. 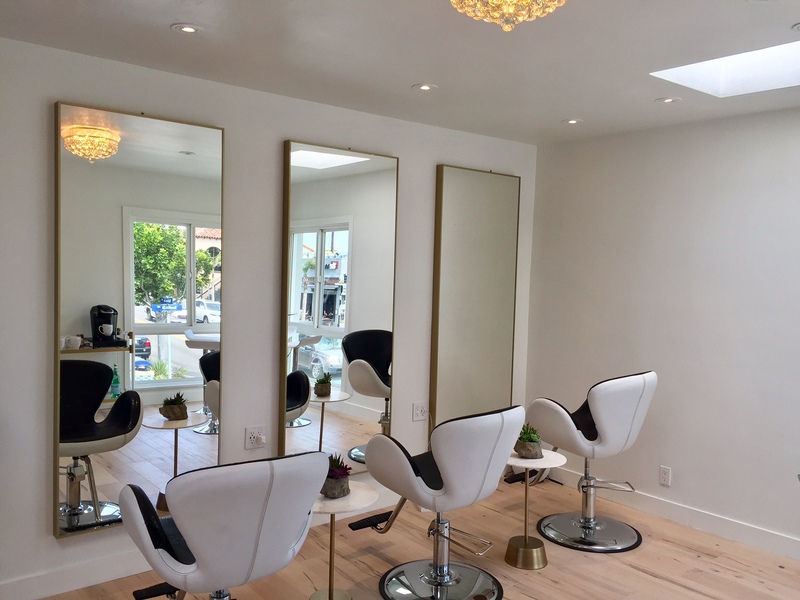 Recently, our team completely renovated a former office space into a beautiful, bright, light filled beauty lounge in Manhattan Beach, California called Primp Lounge. Our design team took a dark multi room office and breathed life into the space. 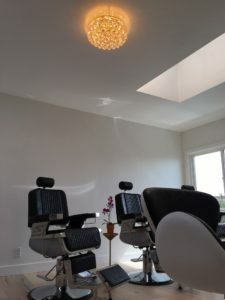 The first task was opening up the location by tearing down walls, replacing hardwood floors, and reconfiguring the floor plan to maximize the heaps of natural light from all the massive windows and skylights. 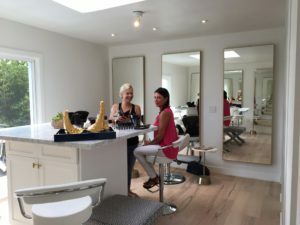 Meanwhile, major upgrades were made in the water & plumbing systems, then air conditioning and a second bathroom were added, all to meet the new LEED standards and for the future patron’s comfort. For the interior design, we added crisp white walls and bleached hardwood floors. This lays the perfect canvas for twinkling chandeliers and cozy lounging areas featuring Jonathan Adler furniture and accessories, all with a beach modern flair. A must for every beauty lounge are comfortable, ergonomically designed chairs for hair, washing stations and lash applications. Amid the white and black faux alligator covered swan chairs are Carrara marble table tops, and gold accents all throughout the space. The beauty lounge renovations were perfectly executed to meet all the client’s needs for a gorgeous, functional space where ladies can come to relax and get primped! See www.theprimplounge.com for more information on Primp Lounge in Manhattan Beach, CA. Be sure to follow us on facebook and twitter @jigsawdesign4U .